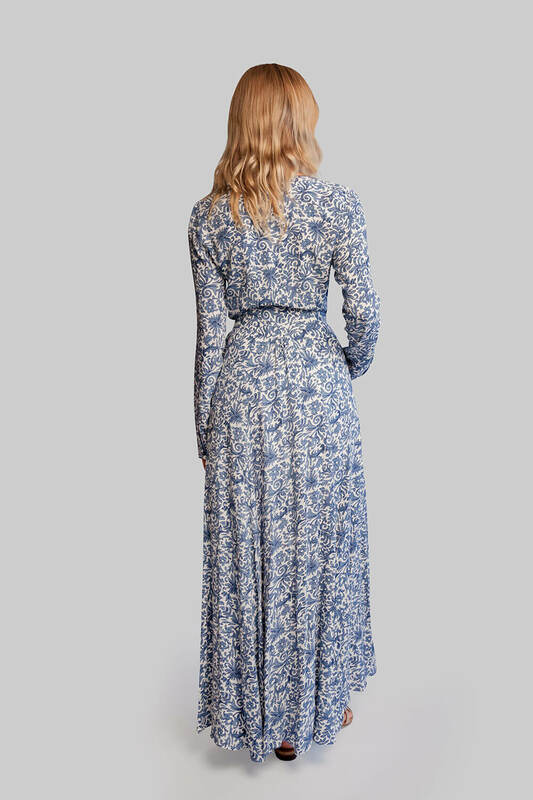 Perfect for a summer wedding or garden party this Zoe dress is printed with a Spanish tile motif. This wrap style dress ties at the side for easy , adjustable and flattering fit that will complement virtually every body shape. Wear it with sandals or sneakers to channel an elegant and romantic vibe in the Zoe wrap dress. Wear yours with Strappy front and back GIGI NUDZ Mini.